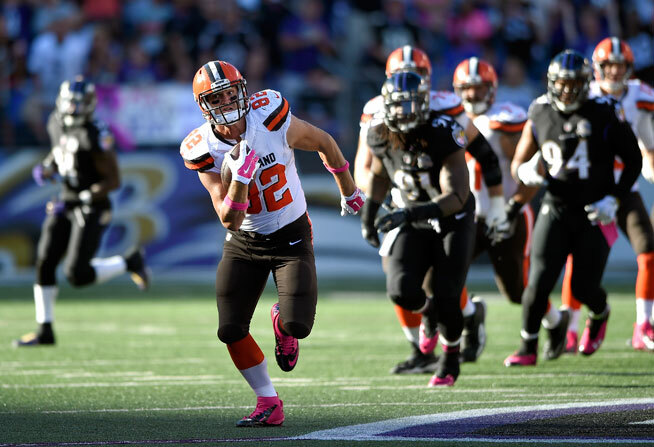 Barnidge has shown he is McCown’s target of choice. The tight end has been targeted 26 times since week two and has averaged 16.63 (standard) points in that span. I expect the new found waiver wire tight end to continue his excellent season, maybe not the TD rate (2 in each of his last 3 games) but I expect the number of targets to stay consistent. PPR or Deep leagues only. Theo Riddick has only 2 rushing attempts all season for 10 yards, but 30 catches for 228 yards and 2 TDs. It’s not clear how much longer he will be fantasy relevant, but 10 reception for 53 yards and a TD this week show he could be a PPR option for awhile longer. Crowder has taken advantage of Jackson and Roberts being inactive. Crowder has 21 receptions for 197 yards in the last 3 weeks; this week he led the team in targets, catches, and yards. I expect more from the rookie receiver going forward as he got his chance to shine and has done a great job in that time. In Gary Kubiak’s offense no running back is safe. With that being said, and Kubiak saying he wants to get Hillman involved in the first 3 downs of the offense it is a wonder he’s not owned in more fantasy leagues. Hillman has great upside and is a fumble or injury away from taking Anderson’s job for the remainder of the season. Having a starting RB in a Peyton Manning offense (albeit not as great as usual) is something every fantasy player should be enticed by. Brees has grown a little fond of Snead who has had at least 4 receptions since Week 2 and has had at least 44 receiving yards in every game this season. Snead is coming off his career best 6-reception 141-yard game versus the Eagles this week. I am high on Snead who had 2 targets in the end zone that he failed to pull in, showing Brees has trust in him through the air when near the end zone, I expect good things to come from this rookie.